Hello readers, this week I have a double whammy (My spell checker doesn’t like the word but i’m leaving it in!) of articles for you. The first article that you are reading now is about dispelling a myth that leaving comments on WordPress blogs is a good way to get a back-link to your website. The second article, that you can find underneath this one is about a nasty run in I’ve had with 1&1 Internet and a debt collection agency. But like all chronological things, we will start at the beginning with the WordPress/SEO article. The above statement is 100% correct, BUT what isn’t correct is when people advise you that the easiest, quickest and cheapest way to get good quality back-links is by posting comments on blogs and entering your website URL. Here’s an example of a comment with a “back-link” made by one of my readers, Omar Martin. So you’d think that when the Google Bot visited my blog and looked at the comments, the Bot would follow Omar’s link out of the blog and back onto his site. Normally this would be the case, but not with a WordPress blog! So the next time you see somebody saying that adding comments to a WordPress blog is an easy way to get a back-link, give them a slap round the face and send them to this post. Well, maybe don’t do the slap bit, but do feel free to send them to this page. Despite all of this technical mumbo-jumbo, branding your name with your website link is still a great “Old Fashioned” way to get your website noticed. I don’t know about you, but whenever I read an interesting comment on a blog, more times than not I’ll click on that persons link and check out their site! P.S. Next week – How to take off the nofollow attribute! 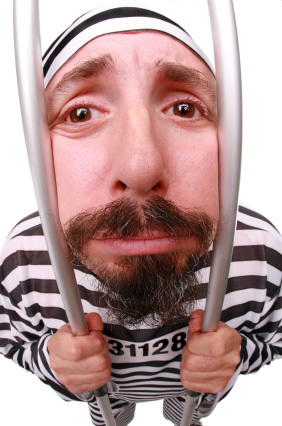 As I’m sure long time readers of the blog know, it takes a lot to get me “wound up” but something happened yesterday that got my blood boiling, and from the title of this blog post you can probably guess which company I had the misfortune of dealing with. A couple of years ago I created a website for one of my relatives, I registered the domain name for the website over at 1&1, I created a new account for my relative so she could manage the domain. Back at the start of the year I did an internal domain transfer and moved the domain name from her 1&1 package to my own, so her package now contained no domains. 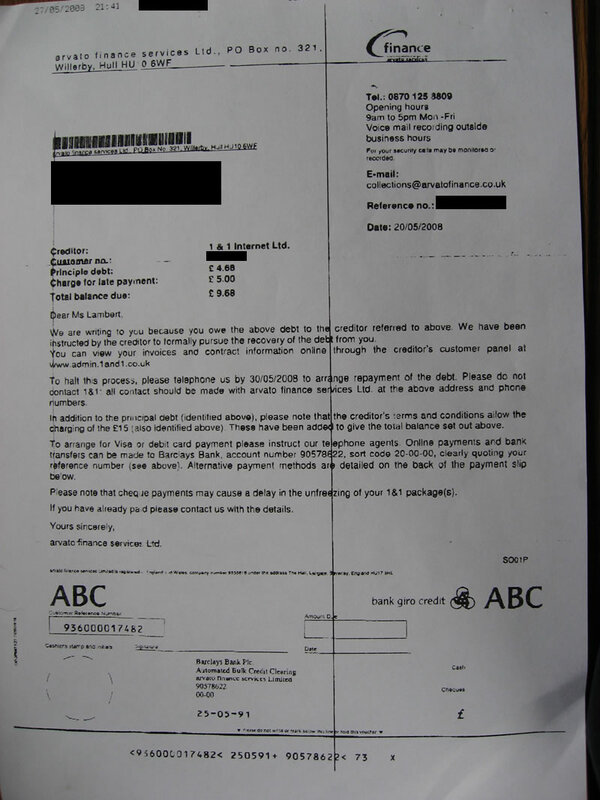 It was a letter from a debt collection agency called Arvato Finance acting on behalf of 1&1, they demanding the huge sum of £4.68 for a domain name that they claimed had not been paid for. The domain HAD been paid for, but it had been paid for through my own 1&1 account (where the domain now “lives”), yet they still demanded paying for the domain. I logged into my aunts account and there was no domain name listed in the package, so why were we being charged twice for the same domain? A phone call to both 1&1 and Arvato was about as helpful as BA on a long haul flight with both passing us back and forth between each other. After a search on google for “1&1 Arvato Finance” it seems to be a common practice for 1&1 to charge customers for domains they no longer have with the company. In the end we decided to just pay the bill, for under £10 it really wasn’t worth the hassle. 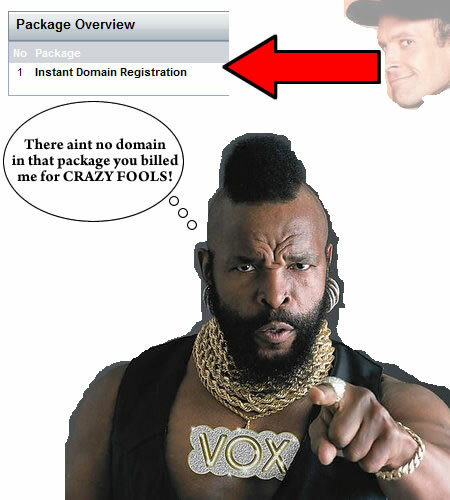 But let this be a lesson to all of you, think twice before you purchase your domain name with 1&1! You can read my 1and1 Review by clicking here. It’s been the best part of 3 years since I originally created this post, but a reader has just left a very useful comment that shows you exactly how to word your reply to Arvato Finance if you don’t think you owe 1and1 any money. Full credit for the letter below goes to James Kahm. You have contacted me regarding the account with the above reference number, which you claim is owed by myself/ourselves. I would point out that I have no knowledge of any such debt being owed to (1 and 1 internet ). I am are familiar with the Office of Fair Trading debt collection Guidance which states that it unfair to send demands for payment to an individual when it is uncertain that they are the debtor in question. I/we would also point out that the OFT say under the Guidance that it is unfair to pursue third parties for payment when they are not liable. 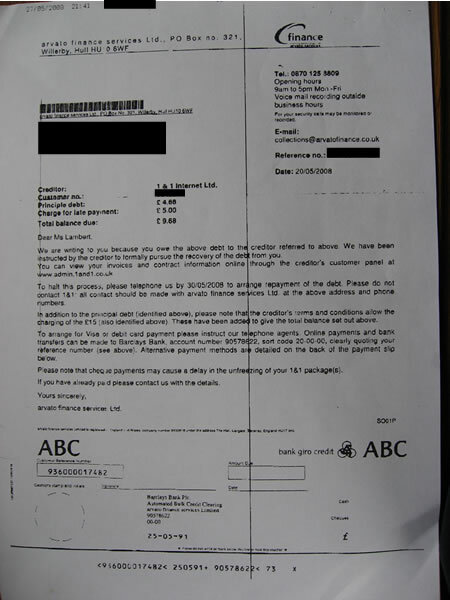 In not ceasing collection activity whilst investigating a reasonably queried or disputed debt you are using deceptive/and or unfair methods. Furthermore ignoring and/or disregarding claims that debts have been settled or are disputed and continuing to make unjustified demands for payment amounts to physical/psychological harassment. I would ask that no further contact be made concerning the above account unless you can provide evidence as to my liability for the debt in question. I await your written confirmation that this matter is now closed. Otherwise I will have no option but to make a complaint to the trading standards department and consider informing the OFT of your actions. It has come to our attention that you have committed a sin against the e of bay, we have no choice but to discontinue our association with you for a minimum of 30 days, or 720 hours. Complaining about this suspension before the 30 days are up would be futile. So the scene was set ladies and gentlemen, my eBay account had been suspended just as I was getting ready to re-launch my shop for the CD digital media revolution. I was actually suspended for “Feedback Manipulation” which was very strange, the feedback and the item for sale that “breached” the rule received and listed before the digital ban came in place, but I was banned when the digital item ban came into play – confused? So am I! The listing that caused the problem was associated with the EW portal delivery script that I sell. 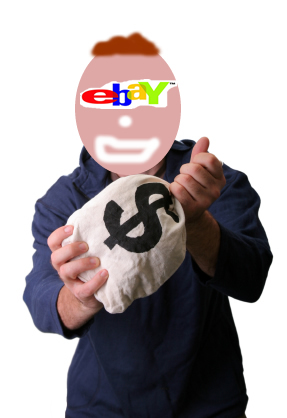 The script works with eBay, so I had a listing in my shop called the “EW Portal Demo Auction”. When someone purchased the item, the script would deliver a file to the customer. It was a great way of showing potential customers what the script could do, but unfortunately Roger eBay didn’t like it. However, every cloud has a silver lining as they (who are these they’s we hear so much about?) say. My eBay suspension means I can’t list any of my new multimedia CD’s on there until my account is reinstated, so whilst it’s bad news for me, it’s great news for you! On Monday I showed you my brand new Basic HTML Multimedia CD ROM designed to sell on your website and on eBay. The only place you can get the CD from at present is from me, so if you act fast there will be virtually no competition on eBay for that item! The price is still only $10 and shipping is only $2.50 no matter where abouts in the world you are located. So get those listings up before my account is reinstated! You can check out the CD by clicking on the image below, and if you plan to resell it, you can download the sales page to use on your website, or on eBay by clicking here. As always thanks for reading, and when you get your hands on the CD do let me know what you think about it! upgraded into a brand new Multimedia CD-ROM. watching too much Gladiators!) these problems. novices how to build their own websites.